Orange County plumbers are trained to deal with all plumbing issues regardless of whether they are minor or major. However, there are things that plumbers wish that you would not do in order to make their jobs easier. If you take extra precautions, then you may be able to avoid serious problems later on down the road. Clogs are one of the most common plumbing issues that people have today. When many people have a clog, the first thing that they do is reach for the drain cleaner. It is convenient to use drain cleaners because you can easily find them in a store. However, you do not want to use them. They will not be able to break up tough clogs. Not only are drain cleaners ineffective, but they are also bad for your pipes. They can even damage the underground pipes that are hard to access. You will likely end up doing more damage in the long run. That is why it is best for you to avoid using chemical drain cleaners. If you have a clog that you cannot break up with a plunger, then you will need to call a plumber. You will also need to avoid using drop-in tank cleaners in your toilet. The chemicals in the tablets can wear your tank. Additionally, if you use too many drop-in tank cleaners, then you can clog your pipes. The only things that toilets are designed to hold are waste and toilet paper. Even if the product is labeled flushable, you should still avoid putting it in your toilet. Feminine napkins, cat litter, makeup removal pads, facial wipes and toilet scrubbers are examples of items that can clog your toilet. The reason that your items clog your toilet is that they cannot disintegrate in water. Q-tips and other small items can also clog your toilet. Your bathroom trash can should be used for anything that is not toilet paper or waste. Additionally, you should avoid putting too much tissue in the toilet at one time. Garbage disposals are a great invention because they make it easy for you to dispose of scraps. It also helps keep food out of the landfills. However, garbage disposals have their limits. There are certain things that should not be placed in a garbage disposal. Coffee grounds, pasta, grease, and fibrous foods are examples of things that you should never put in your garbage disposal. These items will eventually clog your garbage disposal and can cause it to malfunction. It is also important for you to clean your garbage disposal on a regular basis. Taking care of your plumbing system will not only make things easier for you, but it will also make it easier for your plumber. 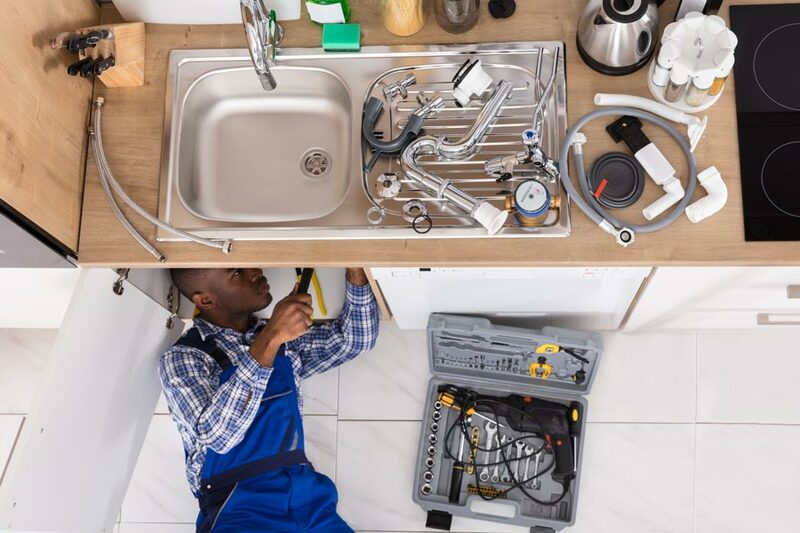 You do not want to try to fix plumbing issues on your own. If you are in need of a plumber, then you will need Apex Plumbing and Drain.